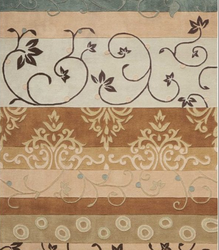 This hand-crafted rug creates a collage of classic Damask, scrolling leaves and vines, circle and striped-designs for a completely contemporary and unique effect. An on-trend color palette of white, green, cream, blue, teal, olive exudes a modern opulence as luxurious hand-carved elements lend a fabulous texture and contrast. 2. Woollen kilims and half kilims are excellent options for meditation, and prayer. 3. 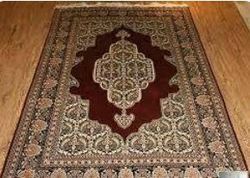 Kashmiri carpets and mats are hand woven to perfection by skilled craftsmen who have art in their genes.